I grew up at a time when Astro Boy was incredibly popular but the truth is that Astro Boy has been around long before my time. Created as a Japanese Manga by Osamu Tezuka and more widely known as Mighty Atom! Astro Boy is the kind of character I love, small in size but packed with power, robotics and rocket boots, what more can you want. 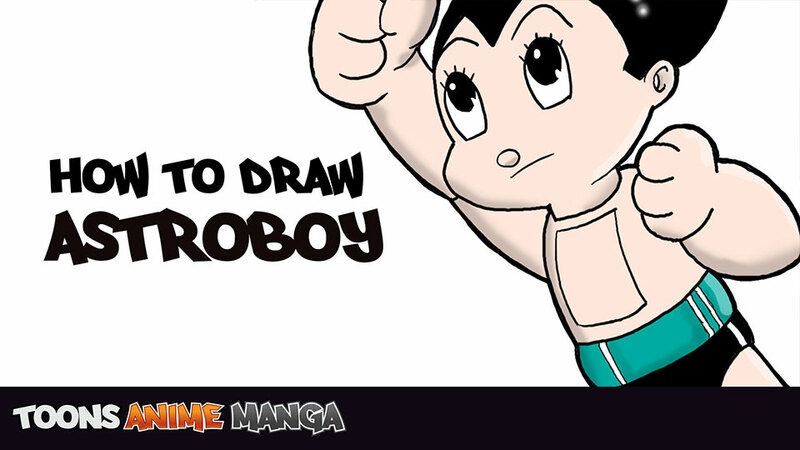 Learning how to draw Astro Boy is a blast (do you see what I did there!). When you’re learning how to draw a character it’s easy to get lost in tutorials that provide you with a basic step by step but in reality there is no step by step to artwork. If you want to learn how to draw you need to understand how to simplify characters in to basic shapes. You’ll see early on in this video I simplify drawing Astro Boy by breaking dowin into simple shapes first and once I have a good understanding for the shape I can then go through an add additional detail. The detail is the fun part but you can’t have great detail if you don’t get the shapes correct to begin with.